The Dymo Rhino 1759398 Rechargeable Li-Ion Battery will save you $$$. Over time, the ongoing cost of AA batteries will exceed the initial purchase price of this battery, even for a light user. Heavy users will notice the saving in a short period of time. Labelcity is a specialist supplier of Dymo's Rhino range of Label Printers and Supplies. We have devoted a special section of our website for Rhino products, including Label Printers, Label Supplies, Accessories, Tips and Technical Support. 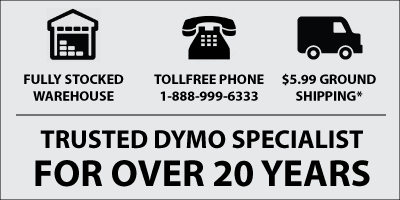 Visit our Dymo Rhino web pages.